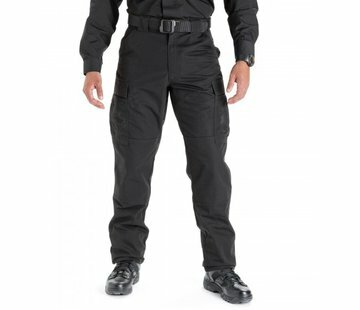 UF PRO P-40 All-Terrain Pants (Black). The perfect all-around pants for various environments and activities. The P-40 All-Terrain pants will follow even your fastest moves, while all functional elements will remain in their most ergonomic position. An anatomic cut, as well as a breathable and hardwearing Schoeller®-dynamic stretch material in the back of the pants, provide these excellent wear characteristics. The big side pocket of the P-40 All-Terrain Pants offers a horizontal and vertical access to the main cargo area and inner compartments. The attached gear pocket can be easily secured with a quiet and plastic reinforced tab. A small gear pocket in the upper thigh area provides storage for smaller items like a knife, light, or a spare magazine. As with all P-40 Pants, also the All-Terrain Pants can be equipped with UF PRO® Flex Knee Protectors. A unique construction of the trouser legs makes sure that your knee protector always stays in place, without any adjustments. The CORDURA® reinforced knee and instep areas provide durability also on the long run. The P-40 All-Terrain Pants can be used for different kind of environments- from hot, arid terrains to cold mountain areas. When it gets hot, the mesh lined knee-protector pockets can be left open and thus provide additional air circulation. For cold temperatures, you can simply equip them with a detachable WINDSTOPPER® lining.